The spinal cord supports body movement and sensation, and damage to it, whether through fractures, dislocation, compression, or anything of the like, causes the spinal cord to lose the ability to send or receive messages from the brain to the part of the body that controls motor and automatic function. It does not have to be severed to lose function. 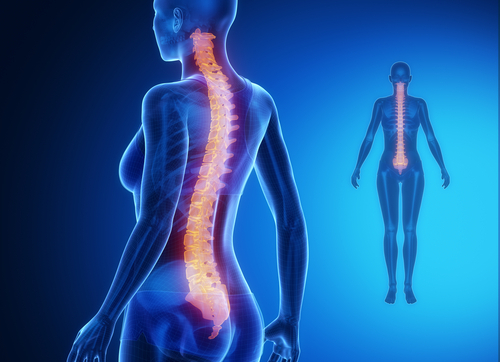 Spinal cord injuries commonly occur as a result of automobile accidents, acts of violence, sports injuries, and falls. However, it also occurs from diseases one may have at birth or acquire later in life, from tumors, or from electric shock. How a spinal cord injury impacts the body depends on where the damage is located as well as its severity. Spinal cord injuries may often come with secondary complications and conditions. Some of these include issues with bowel and bladder management, sepsis, respiratory health, deep vein thrombosis, and even skin problems. Given how greatly a spinal injury can impact the life of an individual, high financial costs come with it as well. The costs associated with spinal cord injuries depend on the severity of one’s condition. For high tetraplegia, for example, costs during the first year can be upwards of $1 million and about $200,000 for subsequent years, according to the Christopher & Dana Reeve Foundation, not including loss of wages or other fringe benefits. Over a lifetime of 50 years, that will eventually add up to over $2 million. Even for less severe, minor spinal cord injuries, the cost per year is about $42,000 and over $1 million over a lifetime of 50 years. Vanguard Attorneys has 50 years of combined experience in protecting the rights of our clients. We are experts in personal injury and understand how to approach spinal injury cases. Not only are the effects of this injury life altering and overwhelming, but costly. If you have suffered a spinal cord injury as a result of someone’s negligence, you are entitled to seek compensation. Call for a free consultation at 813-737-7361.